Co-Curricular Record Your hard work outside of the classroom deserves to be recognized. U of T now has a Co-Curricular Record, which will give you an opportunity to seek out involvement opportunities, and have them recorded on an official U of T document. You’ll also be able to identify the skills and abilities you’ve developed as a result of your involvement. Which is great when you’re meeting with possible employers – you’ll be able to tell them why you are so awesome. For more information, visit ccr.utoronto.ca or email questions to ccr@utoronto.ca. Search for involvement opportunities using the CCR database and follow your progress. The Co-Curricular Record (CCR) is an official institutional document that recognizes your involvement outside the classroom as a significant part of your U of T experience. You can search the CCR database for involvement opportunities that coincide with your interests and goals. 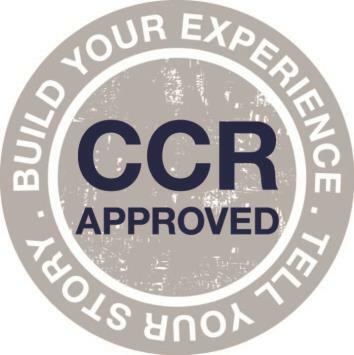 The CCR connects the competencies you’ve gained from these opportunities directly to skills that employers and graduate schools look for to help you build your resumes and applications. You can print an official copy of your CCR for your records.